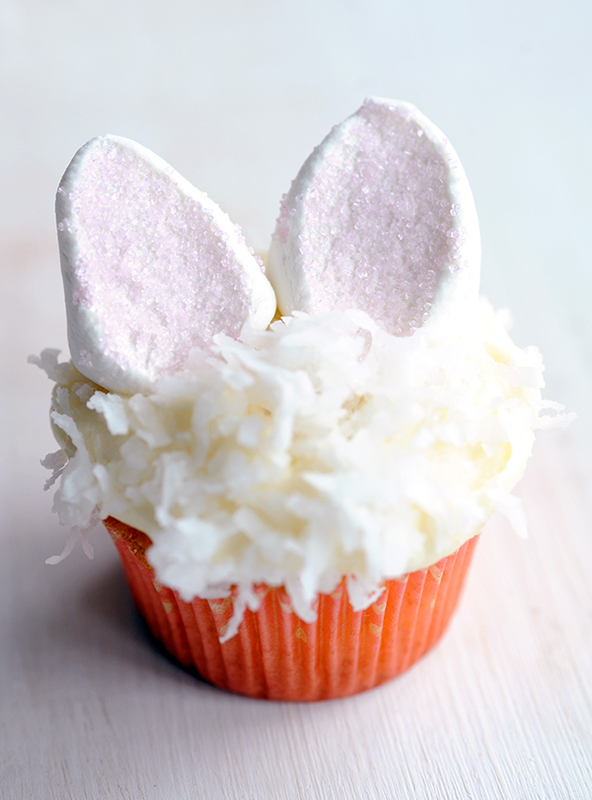 These are not only the cutest Easter bunny cupcakes, but they are also the best coconut cupcakes ever. And I really mean it. I've tried a lot of coconut cake recipes over the years and this one runs at the front of the pack. It is Ina Garten's recipe and I love that there is not only coconut piled on top of each cupcake but also folded into the batter. These cupcakes are made with buttermilk and almond extract which give them a really rich sweet flavor. 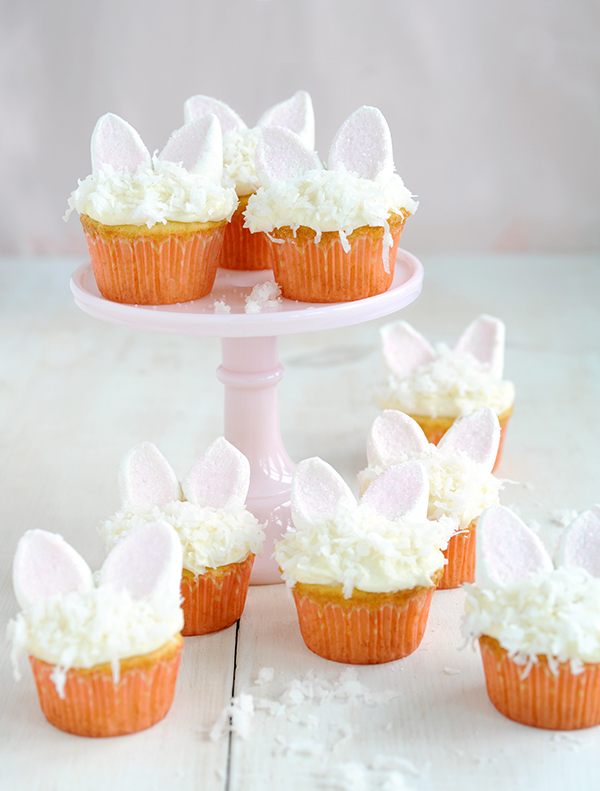 Plus, they are topped with cream cheese frosting (nothing to complain about there). 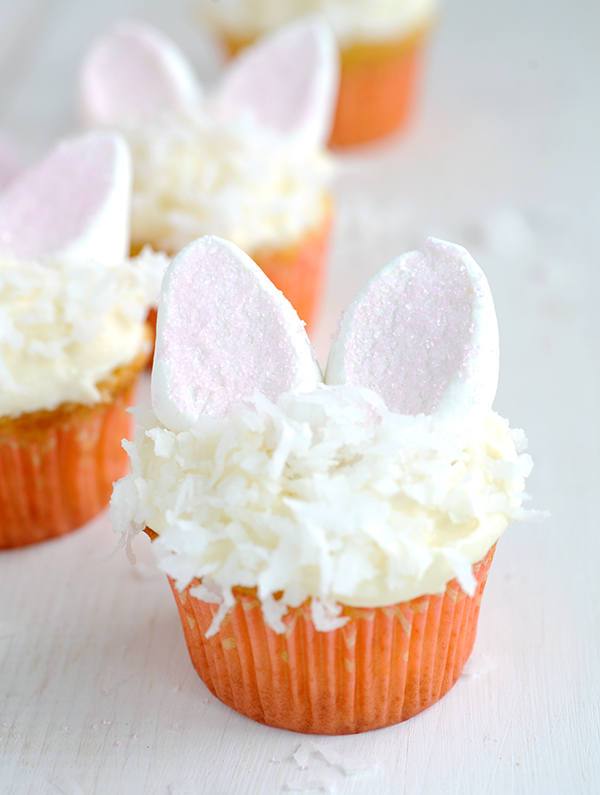 I added bunny ears to each (made of marshmallows and sprinkles) in celebration of Easter. I think they turned out so cute! 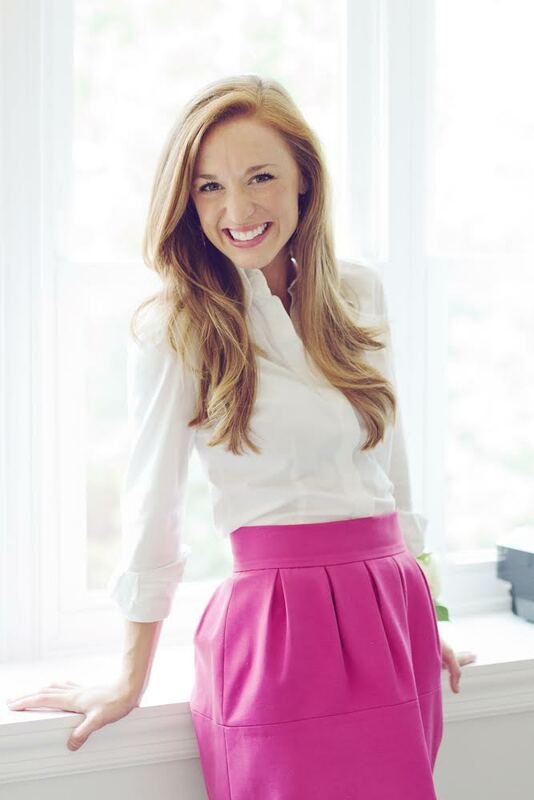 Leaving them monochromatic (just pale pink and white) makes them shopistacated but still irrestiably adorable. All you have to do is slice a marshmallow on a diagonal and then dip the sticky sides into sprinkles. Arrange in pairs like ears on the tops of the cupcakes, the icing will act as glue. Here's Ina's recipe. She hasn't failed me yet. Meanwhile, make the frosting. In the bowl of an electric mixer fitted with the paddle attachment, on low speed, cream together the cream cheese, butter, and vanilla and almond extracts. Add the confectioners' sugar and mix until smooth.